Mix yogurt, onion, lemon juice, zest, and spices together until smooth. Set aside or refrigerate if not using for a while. 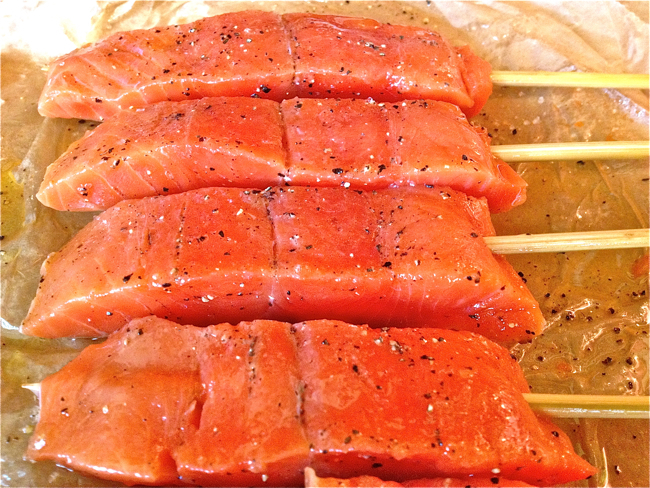 Thread salmon onto skewers so the fish lies flat. Drizzle with olive oil and season with salt and pepper. Grill for 2 to 3 minutes on each side or until slightly charred and just cooked through. Brush the onion slices on both sides with the olive oil and season with salt and pepper to taste. 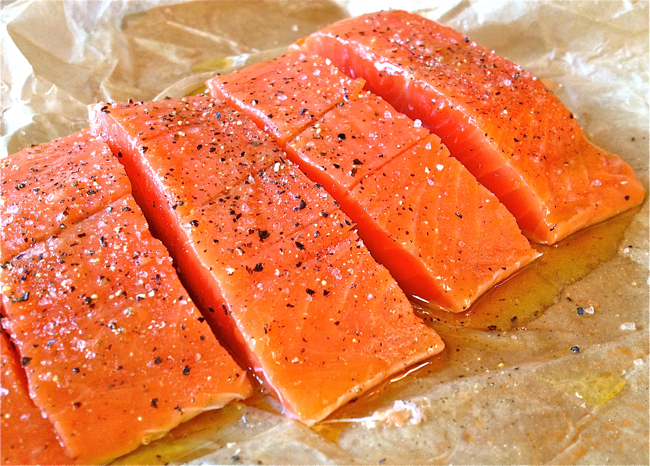 Grill on both sides until almost cooked through, remove and coarsely chop. 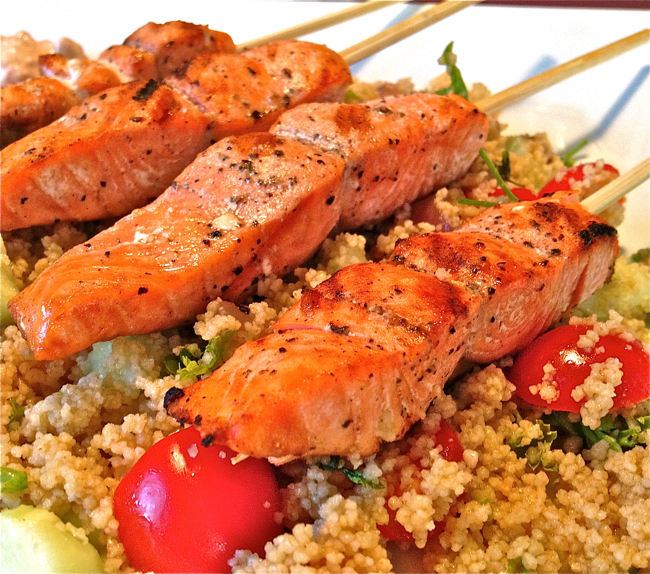 Place the cooked couscous in a large bowl, add the remaining ingredients and mix to combine. Season with salt and pepper to taste. 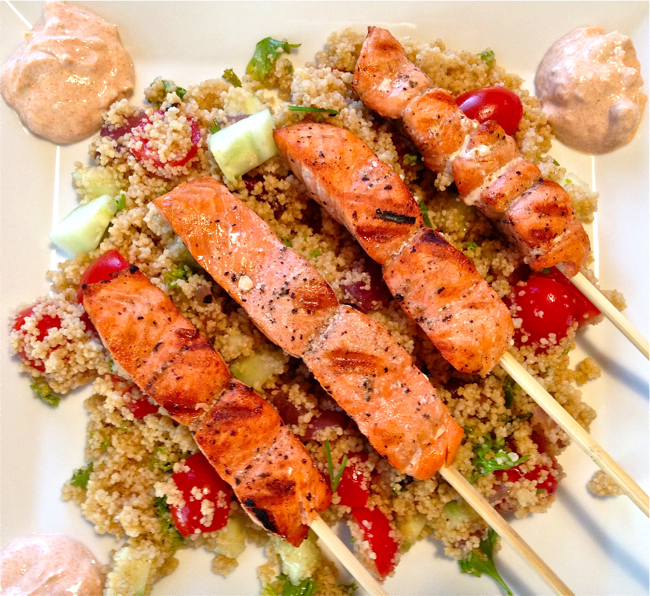 Serve grilled salmon with yogurt sauce and couscous.